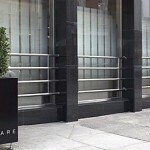 As far as addresses go, few are smarter than Mayfair and on Bruton Street and The Square is in the thick of the action. Sampling celebrity chef cuisine in Mayfair. The food is traditional south Indian vegetarian fare, so you won’t find your hackneyed menu of tikka masalas, kormas or biryanis here.